When experimenting with your site, you may want to try different demos. If you've already imported a demo and would like to try a different one, you can use the methods mentioned below to remove the imported demo content. You may also find this useful if a demo was imported more than once and you have some duplicate content. Removing Demo Content To Import A New One - You can use the methods described below to remove imported demo content if you want to make a clean import of a new one. If you don't remove the old demo content before starting an additional import, you may see elements and settings from the old demo which could affect the layout and the design of the newly imported demo. Removing Duplicate Demo Content - Sometimes, importing a demo can take a few minutes. Duplicate demo content occurs when the 'Import' button is clicked multiple times. For example, if you click 'Import' twice, there's a possibility that all the demo content will be imported twice. Note: It will not be possible to import duplicate demo content on sites using Avada 5.2+ unless you already had demo content imported from an earlier version when you imported the demo again. That is because it's not possible to import the same demo twice on Avada 5.2+, without first removing the originally imported content. IMPORTANT NOTE: Method 1 will only work for Avada 5.2 or higher and with demo content that was imported into that version or higher. Demo content that was already imported on versions below 5.2 won't be identified by the 5.2+ demo importer as anything but normal WordPress content. As of Avada 5.2, you can use the Avada Demo Importer tool to also remove / uninstall imported demo content. Step 1 - Navigate to Avada > Demos and find the demo you're wanting to remove from your site. Step 2 - Hover over the Demo image and select the "Modify" button. Step 3 - In the lower right-hand corner of the popup window, check the box beside "Uninstall" and click "Remove". Note: This will remove any content that was imported through this demo. If you've modified posts / pages and want to keep those, you should save them as a template in the Fusion Library so they can be imported again for later use. 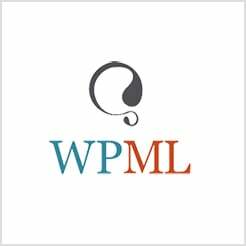 IMPORTANT NOTE Using WP Reset Plugin will REMOVE all of your database content. It does not remove a theme or plugin folder, but all site content such as posts, pages, media, etc. will be lost. USE WITH CAUTION! This plugin is the fastest way to get back to the starting point of a WordPress install. However, it will remove all content from your database and leave the default theme activated. It does not remove plugins, but will deactivate them. This plugin will remove all pages, posts, menus, sliders, widget data, theme options, etc. Only do this if you are wanting to start over from a fresh WordPress install. Step 1 - Download and install the WP Reset Plugin. Step 2 - After installing the WP Reset Plugin, go to your WordPress plugins page and activate the plugin. Step 3 - Hover over your site name in the upper left corner of the screen and you'll find the 'Reset Site' option. Step 4 - You must first type reset in the text box before you can click 'Reset'. Step 5 - A warning pop up will appear informing you again that this action is irreversible. If you'd like to proceed, click 'Ok'. Step 6 - Once finished, you'll be left with a clean WordPress install. You can then re-activate Avada and the included plugins, then import the next demo you'd like to try or begin adding your own content. This method will take longer and requires more work but can be done if you want to only remove specific content and keep other demo content. This method simply involves manually removing/deleting the demo content items. For example, you would need to go to your "Pages" section and select the page or pages you want to remove and delete them. Repeat this process as needed through the various content areas in WordPress. You can use this method if you've already created pages and posts or edited some of the demo pages/posts and don't want to lose that work.